Casey Joes in Olton, has been the home of Sean McDermotts (Birmingham) for the last seven years; a friendly, sociable sports bar where we are always made to feel welcome. 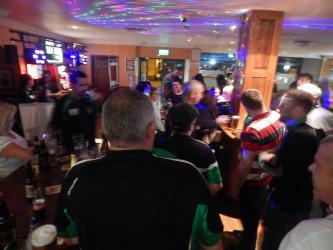 Excellent food and drink, live GAA, Sky Sports, BT Sports plenty of craic and banter! Casey Joeâs is the main meeting place for players and supporters. If you are in Birmingham or Solihull pop in and say hello, you will always be made to feel very welcome. Casey Joes also sponsor our Senior kit, for which we are very grateful.